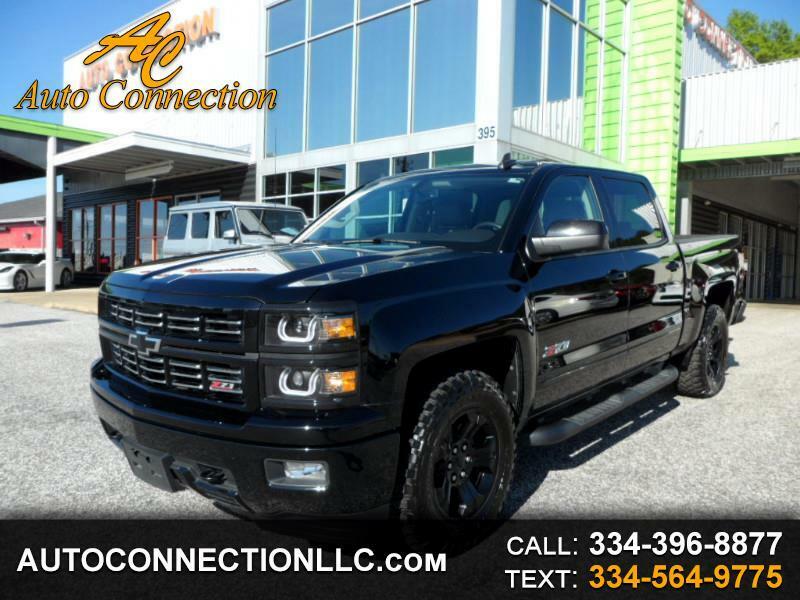 2015 Chevrolet Silverado LTZ 4wd Z71 Crew Cab! ~RARE MIDNIGHT EDITION~ Black over Cocoa Dune Leather with Navigation, Rear camera, Bose sound, CD, XM radio, USB ports, Bluetooth with streaming audio, Onstar, Power sunroof, Heated seats, Power sliding rear window, Keyless entry, Remote start, Borla Touring Exhaust, K&N Cold Air Intake, Anzo headlights, Trailer brake controller, Spray in bedliner, Park assist and more! Local ONE owner trade! Carfax certified! Non smoker truck! Factory warranty remaining! Comes with all books, Keys and original window sticker! Just serviced! Like new all terrain tires! Excellent condition!